Help us raise money for our youth ministry group at Arlington Church. It's simple! 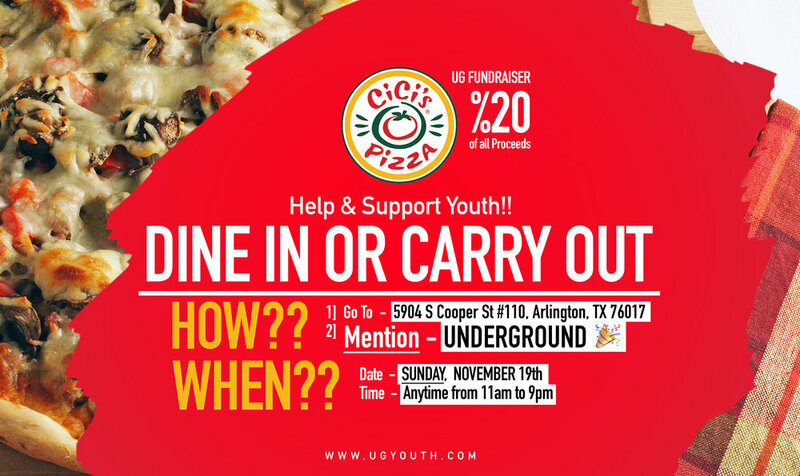 October 8th, bring your family and friends to Cici's or order to-go and just mention "Underground" and we will get 20% of the profits!!! Share a meal with loved ones and support the youth in your area. Please help us share with friends in the area!